What would happen to your teeth if you never brushed them? They'd decay and eventually fall out. Your breath would be awful! 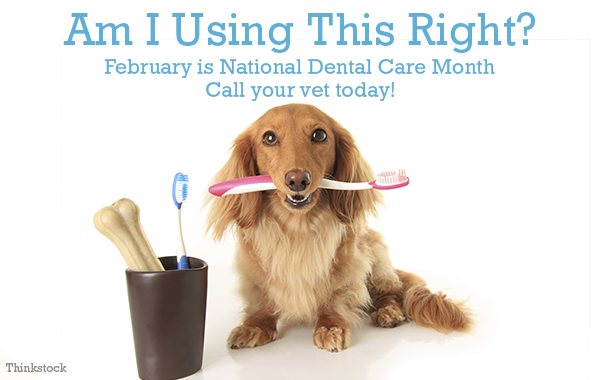 The same thing goes for our pets, and unfortunately, dental care is often overlooked when it comes to dogs and cats. And while bad looking teeth and dragon breath are the most obvious signs of poor dental hygiene, other, less obvious health problems can result: tooth loss, abscesses, and even heart, kidney and liver complications from bacteria-laced tooth infections. Fortunately, there’s a full range of dental care available for pets. Learn all about keeping your pet’s teeth clean. 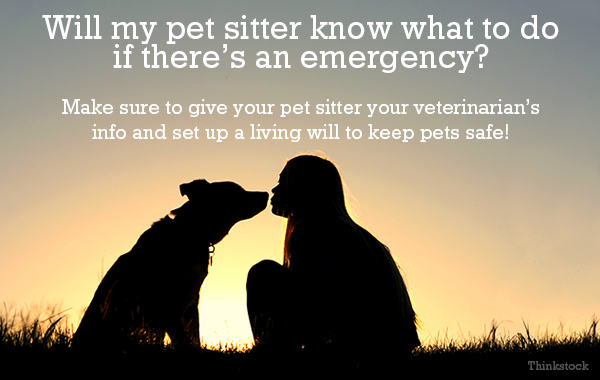 Say you go on a business trip and leave your dog with a pet sitter. Say your dog starts vomiting and can’t stop, becomes severely dehydrated, and is rushed to the emergency room while you’re out of town. Say this takes place in the middle of the night when your cell phone is on airplane mode, and the only one left to make decisions about the care of your pooch is your bewildered pet sitter. What to do? Learn how to craft your pet’s living will. We're taking a look at 5 pet protection tips that may be easy to forget. Tell us: Do you have any tips? Veterinary bills can come suddenly and unexpectedly, which means unanticipated financial obligations to care for your pet. However, a little financial foresight in the form of pet savings accounts or pet insurance can be a great way to ensure your pet is cared for in the event of a medical crisis. 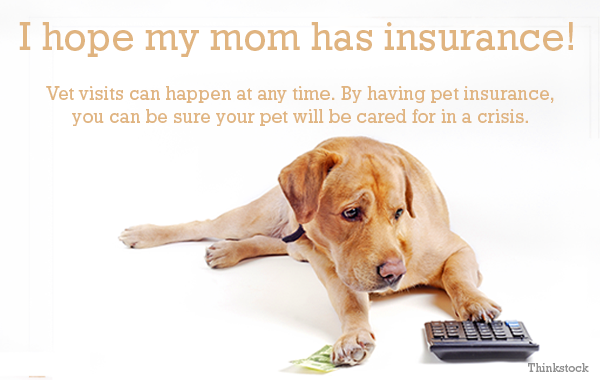 Learn more about how to manage a pet savings account and how pet insurance works. 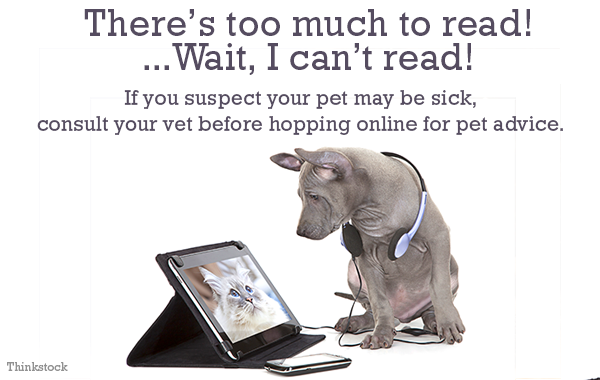 They encourage veterinary visits, which is great news for your pet! Convenient monthly payments allow you to bring your pet in to your veterinarian when you need to without paying for everything at once. For more information about the preventive care plans available to you, have a chat with your veterinarian. Be prepared for emergencies. Our editor-in-chief, Jane Harrell, decided on a whim to get certified in pet first aid and is so glad she did! “A few weeks later a friend’s cat got too close to her fireplace and was severely burned,” Jane says. “Thanks to my pet first-aid training, I knew how to minimize the damage and pain until we could reach a 24-hour animal hospital.” The cat is now fine, with no long-term damage thanks to the training Jane received and some amazing emergency veterinarians. Ask your veterinarian where to find a pet first-aid course near you. Of course, even if you get certified, it’s important to have a pet disaster kit on hand in case something unexpected happens. While human first aid kits are sufficient in a pinch, adding just a few items specifically tailored to your dog or cat is a good idea. 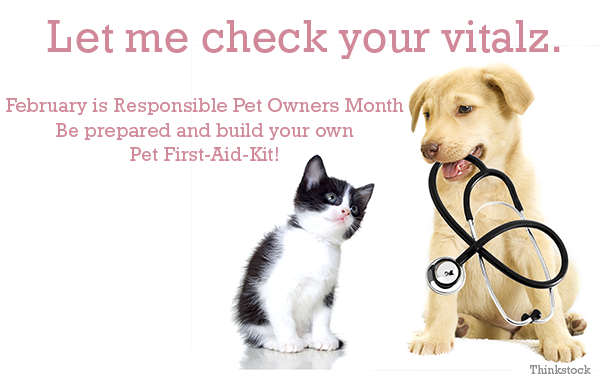 Learn how to build the perfect pet first aid kit for your dog or cat.